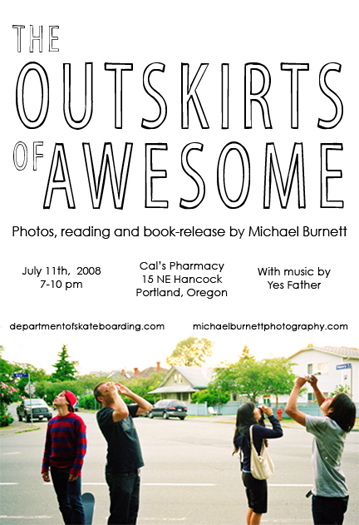 I've got a photo show and book release thing at Portland's Department of Skateboarding this Friday night. Ultimate Phil's band, Yes Father, will also be performing. Should be totally sweet. Tell your friends.